WE ALREADY KNEW THAT MAH JONGG PEOPLE HAVE STYLE! Every day I stumble across yet another indication that Mah Jongg has become a mainstream game. When it becomes part of a commercial, I know we have truly arrived! Glasses.com has produced a commercial with the following storyline: A stylish woman in heels kicks a leg up onto a barbershop counter to get her leg shaved. A disheveled woman sits down in a back room to play mahjong. A man in a suit twirls a skateboard on a street corner. This entry was posted in Mah Jongg and Me and tagged Glasses.com, Johni Levine, mah jong, mah jongg, mahjong on August 9, 2015 by Mah Jongg and Me. Sorry to say all there was on the screen to see were hands mixing tiles. I thought we were seeing a commercial????????? So someone did not download this properly. Hi Mariette – you need to click on the link above the photo. That will take you to the commercial. The photo was just a screen shot from the commercial. Click on the link rather than the forward arrow. I’m fantastic and hope you are also! 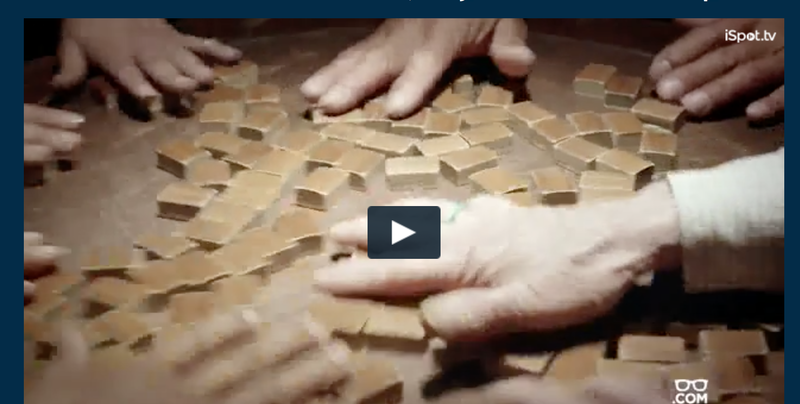 Our granddaughter got Quints in Mah Jongg yesterday – so happy she loves the game too! Clearly she takes after you! How old is she? Congratulations to her!